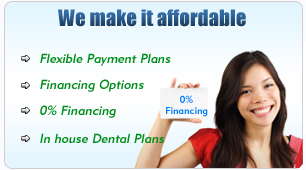 Apply for one of our convenient and affordable payment plans. 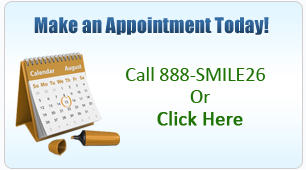 Just calls us at 888-Smile26 to apply on the phone or come in to one of our locations to apply in person. You will receive an answer in minutes from our lending partners. 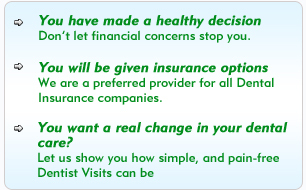 If you do not get instant approval, we have many solutions for our patients to help them afford their care. We have multiple financial partners that offer no Interest if Paid in Full within 18 Months* on purchases of $300 or more. Interest will be charged to your account from the purchase date if the promotional balance, including optional charges, is not paid in full within 18 months or if you make a late payment. Minimum Monthly Payments Required. For your convenience, we also accept cash, personal checks and all major credit cards.